Just as we look after our own teeth to stop them from rotting and falling out (gross) - we also have to care for our pet’s teeth. If you have pet insurance with Oneplan (that’s us) then you already know that we cover visits to the vet and dental care. And of course, you will also know that we pay you BEFORE you see the vet and offer instant claims from the palm of your hand with our simple Oneplan App. 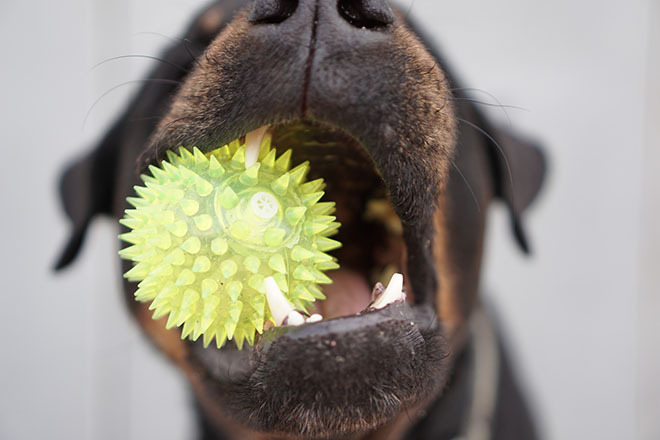 Our pet’s gums are so important for protecting the bone and tissue that support and anchor the teeth. Gum disease, also known as periodontal disease is a condition that is caused by a bacterial infection from the buildup of plaque in the mouth. Plaque is made up of saliva and food particles. It sticks to the surface of teeth and below the gum line. If it is not removed it will harden and become tartar. Over time, tartar can cause bacteria to accumulate in the mouth and cause issues in the teeth and bone, resulting in bleeding gums and tooth loss. Gum disease first starts as gingivitis, this is known as gum inflammation. When the gums are sore and irritated from bacteria, these issues can be reversed through proper dental care and hygiene. But, if these issues are ignored, then the condition will just get worse and gingivitis will progress into periodontitis. How do I know if my pet has gum disease? "Did you know that more than 80% of dogs and 70% of cats that are older than 3 years old will have some form of gum disease?" How can I prevent gum disease in my pet? What should I do if I think my pet has gum disease? If your pet is showing any of the signs that we mentioned above - then it is vital that your pet sees your vet before any serious issues occur that cannot be reversed. Make an appointment with your vet immediately. To treat gum disease, your vet will normally scale and flush your pet’s mouth to remove any tartar and infection from above the gum line. The teeth will then be polished and any loose or badly infected teeth will be removed. Your pet might need antibiotics for serious infections. All of these procedures are done under a general anaesthetic. What should I do if my pet has a broken tooth? Your pet may have broken a tooth when chewing on bones that are too big or from fighting with another pet or being involved in an accident. When a tooth is freshly broken, then this will expose nerves and need immediate medical attention. The tooth may be saved by your vet in using a special filling within 24-36 hours, otherwise the nerve will die and the tooth will fall out. If the tooth dies, then this allows for infection to enter the root of the tooth. If this infection is present, then your pet may need a root canal which can only be done within the first 36 hours. If your pet loses a tooth and you leave this untreated then this can cause abscesses which are bubbles of puss in the jaw bone and be a source of bacterial infection which could even spread to major organs such as the heart and kidneys - this is serious! What if my pet has a tooth removed? Most cats and dogs do well after having a tooth removed and will recover quickly. All you can do is give them the love and care they need after the operation and they will be back to their normal selves in no time. Look after your pet’s teeth! The point of this information is that if you notice any signs of gum disease in your precious Whiskers or Bruno then contact your vet immediately. A number of pet owners don’t realise the importance of dental hygiene for their cats and dogs. Regular brushing and chewing of treats that promote good oral health are essential, as well as regular check ups at the vet - did we mention that we cover those?